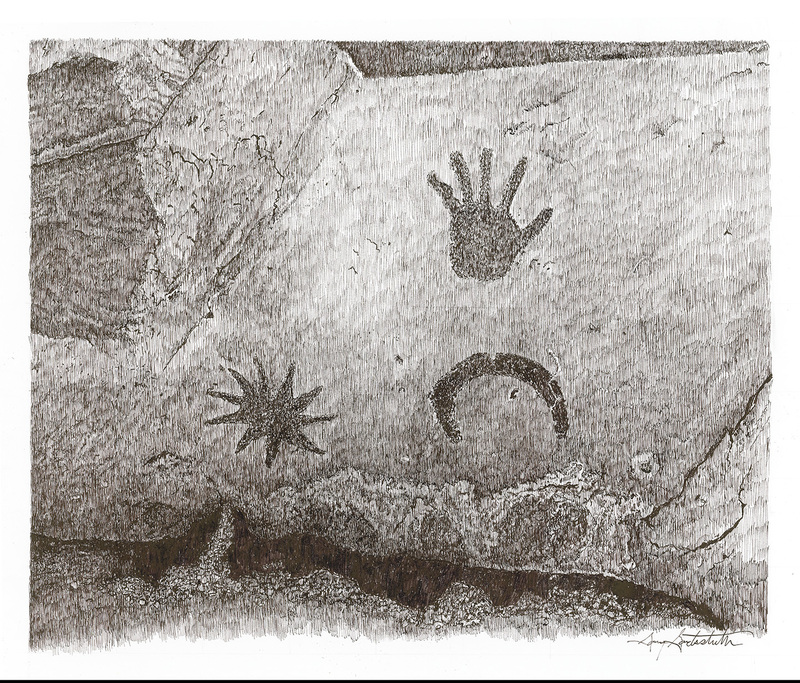 In drawing these petroglyphs, I have had the opportunity to closely study every aspect of the Master Artists who created them. Using stone tools, they utilized the color and contours of the stone, incorporating cracks in the rock as well as shadows created by the position of the sun at specific times of the year. I just happened to be there at this precise moment.